Skye Gravestones | John & Annie (Mackenzie) Macleod. 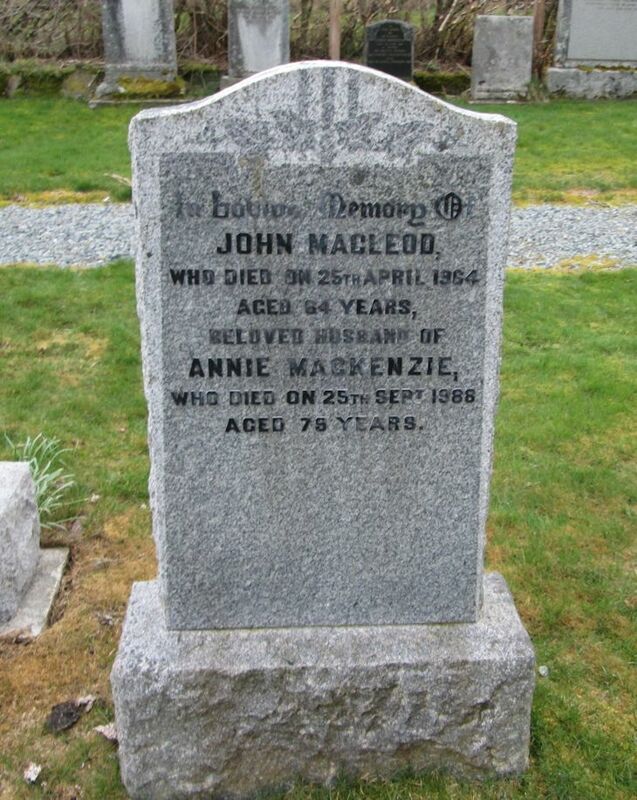 John & Annie (Mackenzie) Macleod. In loving memory of/JOHN MACLEOD/who died on 25th April 1964/aged 64 years/beloved husband of/ANNIE MACKENZIE/who died on 25th Sept. 1988/aged 78 years..